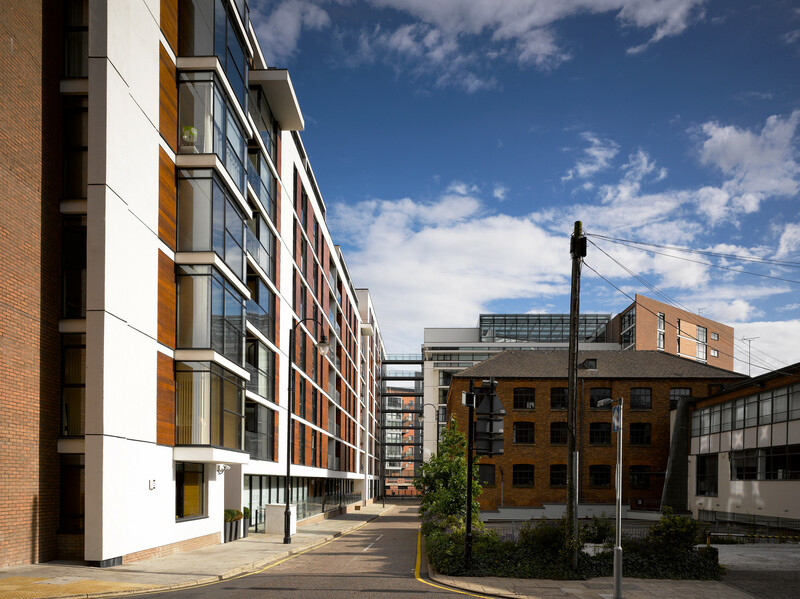 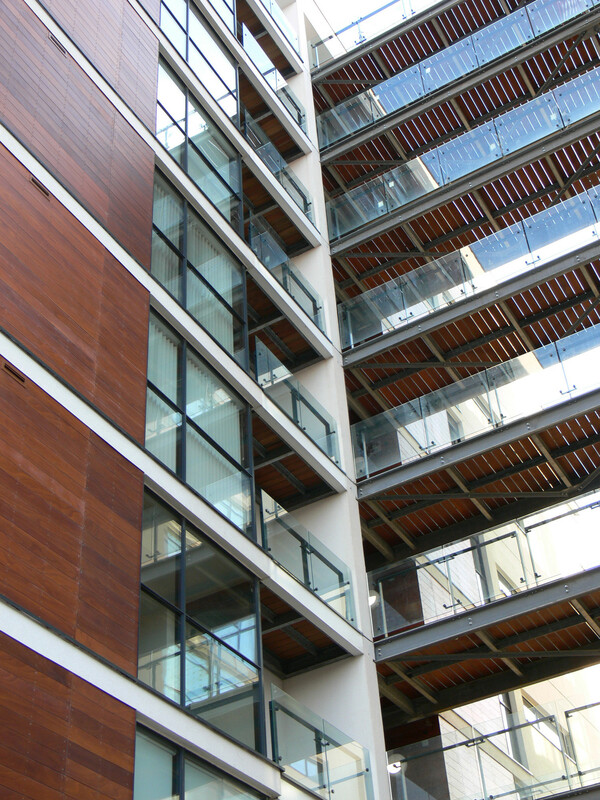 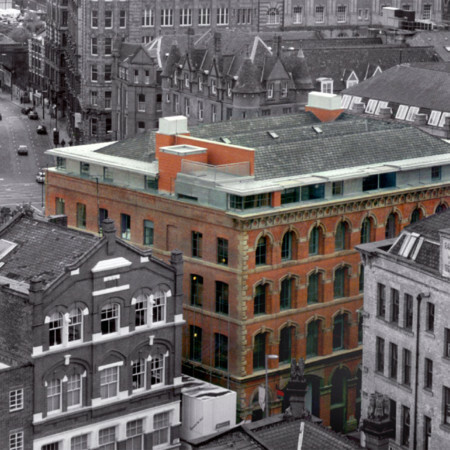 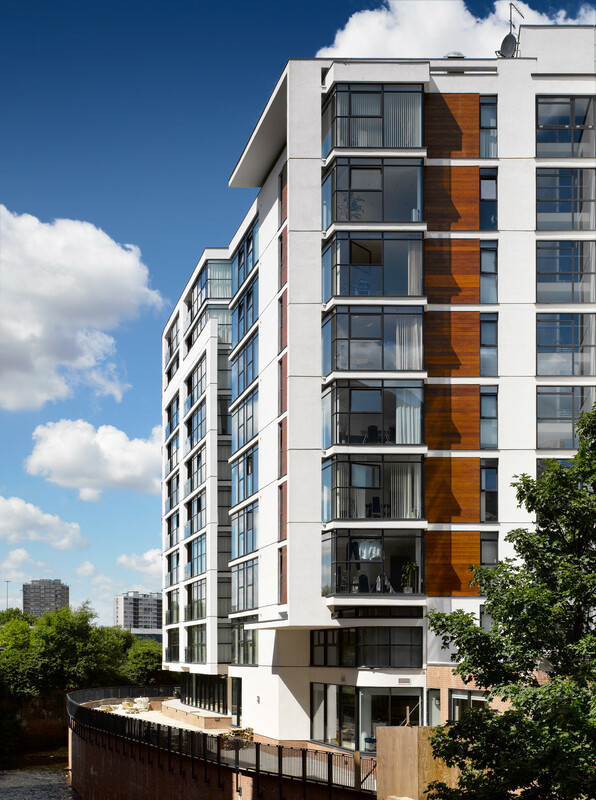 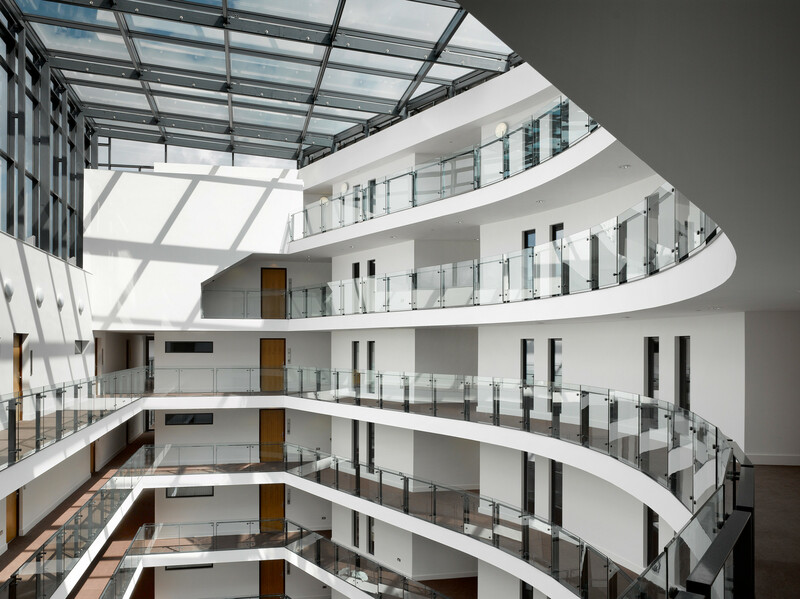 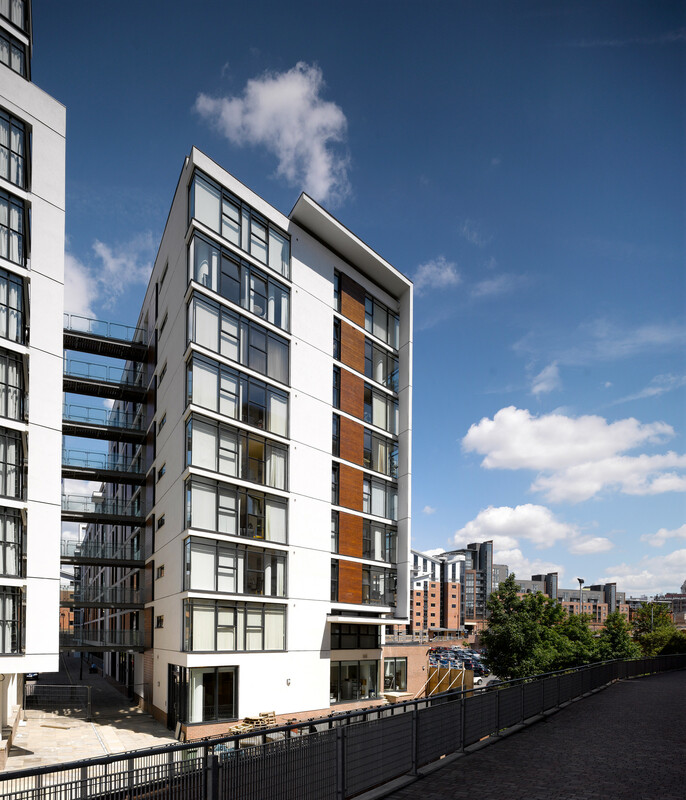 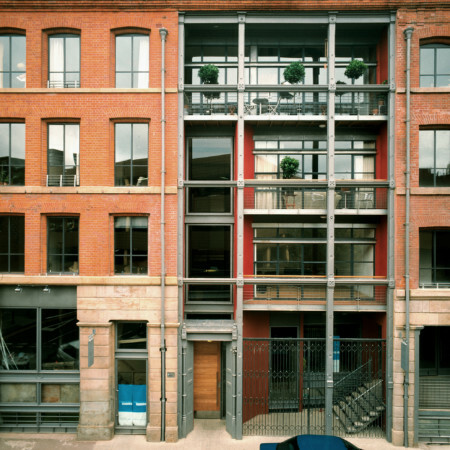 The design, located within the historic Knott Mill area of Manchester, is for two buildings that are connected via delicate bridges, which accommodate office use to the ground floor, 266 apartments and basement parking. 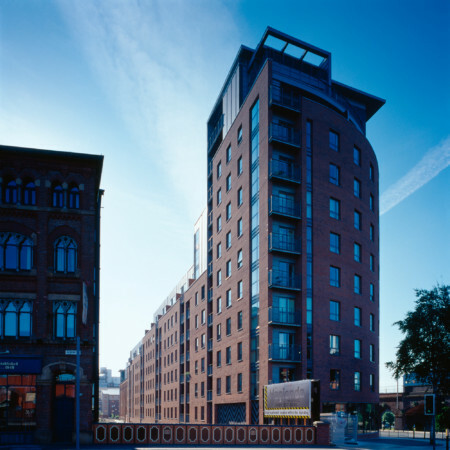 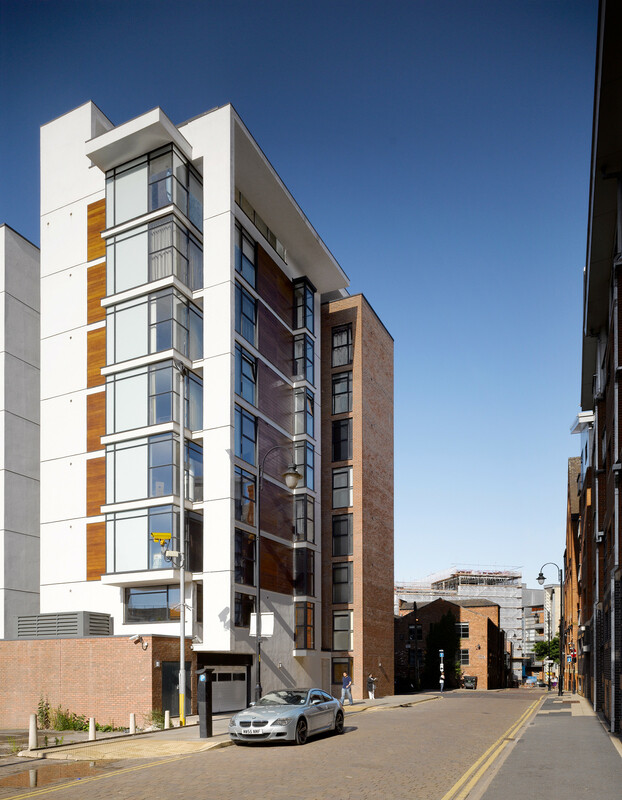 The buildings, which vary in height in a response to the neighbouring Victorian mills, are characterised by projecting glass windows, brickwork spine wall, rendered fin walls and folding planes that add rhythm to the façade. 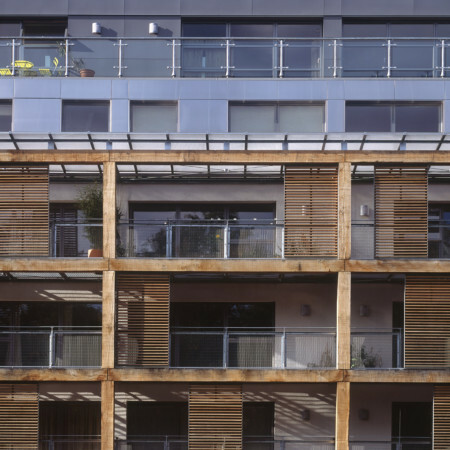 This fusion of a traditional and modern architectural language helps to mediate between the old and new architecture of Knott Mill.